Glennon Melton became a sensation when her personal essays started going viral. Giving language to our universal (yet often secret) experiences, her hilarious and poignant observations were read by millions, shared among friends, discussed at water coolers, quoted in The New York Times, and have inspired a social movement. Melton’s mistakes and triumphs, recounted with candor and humor, will encourage you to forgive yourself for your own imperfections and inspire you to make the most of life’s gifts. In Carry On, Warrior, Melton shares her journey from reckless college girl hooked on alcohol, drugs, bulimia, and toxic relationships to becoming a sober and devoted wife, mother, daughter, sister and teacher. Her stories embody her need to tell and hear the truth, to be sometimes brave and sometimes silent, to say I’m sorry, to trust in something more powerful than herself, and to stop making motherhood, marriage, and friendship harder by pretending they’re not hard. Melton believes that by shedding our weapons and armor, we can stop hiding, competing, striving for the mirage of perfection, and ultimately build a better life in our hearts, homes, and communities. In this one woman trying love herself and others, readers will find a wise and witty friend who will embolden them to cut themselves a break and commit to small acts of love that can have an extraordinary impact. Like Geneen Roth, Glennon reminds us that the journey is the reward and teaches us how to be our best selves. Like Ann Voskamp, she shows us that even doubt-filled faith changes everything. Carry On, Warrior is powerful, fresh, and life-changing. This reading group guide for Carry On, Warrior includes an introduction, discussion questions, and ideas for enhancing your book clubThe suggested questions are intended to help your reading group find new and interesting angles and topics for your discussion. We hope that these ideas will enrich your conversation and increase your enjoyment of the book. 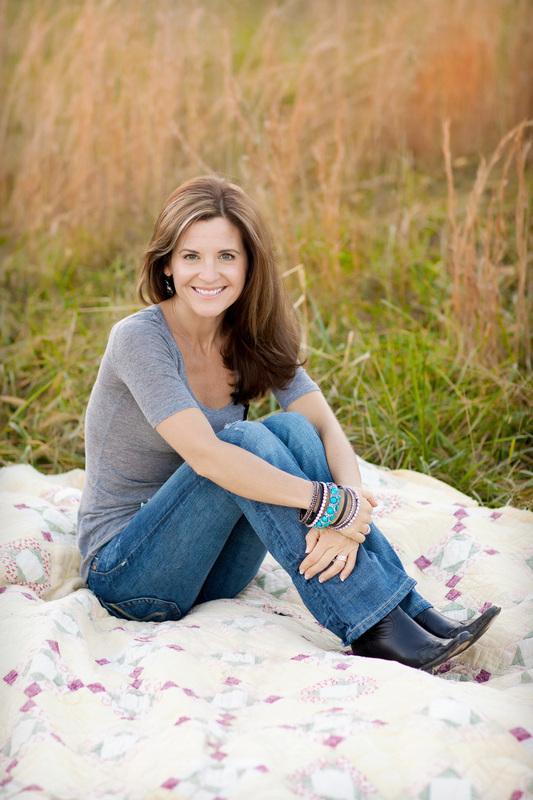 Ten years ago, addicted and unwed, Glennon Doyle Melton discovered she was pregnant. Shocked and terrified, she did the only thing she knew to do: she collapsed on the bathroom floor and prayed. When she stood up, she decided to become a mother. She married the father of her child, a man with whom she had only spent ten sober nights, and vowed never to have another drink, cigarette, or drug again. In the decade since, Glennon has learned what it takes to be a loving mother, wife, sister, and friend. She wakes up every morning ready to do battle. Recovery is a battle; faith is a battle; living an honest life–one full of love, one where the truth of what’s inside is mirrored by the experience on the outside–is a battle. And like any good warrior, Glennon has realized that fighting these battles comes with incredible rewards. 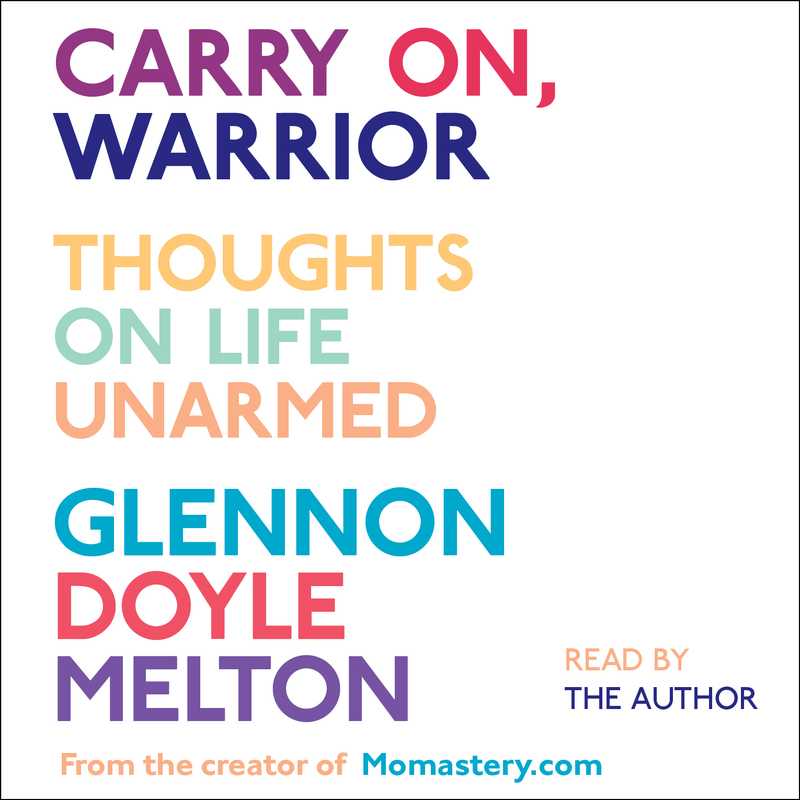 Carry On, Warrior is Glennon’s call to living out loud–being as honest and open as she can be, no matter what obstacles she faces. Obstacles abound—as they always do, for everyone. From financial struggles, to a thwarted dream to adopt a child, to helping her sister through heartbreak, to keeping the rug vacuumed. But Glennon’s journey has shown her that life lived honestly, openly, and in connection with others is one that is rich and full. 2. Compare Glennon’s present-day life to her low point on Mother’s Day in 2002. What did it take for Glennon to hit bottom? How did she decide so suddenly to turn her life around? Can you imagine doing the same in her position? 4. After describing all the unsuccessful attempts to fill the hole in her life, Glennon writes, “If there’s a silver living to the hole, here it is: the unfillable, God-sized hole is what brings people together.” (21) Do you agree with Glennon that our weaknesses and our emptiness help us relate to other people? Why or why not? 6. Discuss the similarities and differences between Glennon and Sister? How have these two sisters taken different paths in life? How are their personalities similar, and how are they different? How do you think they’ve stayed so close over the years? 7. Discuss Glennon’s hilarious approach to housework, like the way she convinces Tish to help her “vacuum” the carpet? Why do you think her family is so tolerant of Glennon’s trial-and-error approach to bag lunches, laundry, and other daily tasks? 10. Glennon believes, “Confidence and humility are two sides of the same coin.” (172) How does Glennon find confidence in knowing she is a “child of God,” and how does knowing everyone is a child of God make her feel humble? What is one good way to remind yourself to feel confident and humble every day? 11. After one of her blog readers made a comment about Glennon’s abortion, Glennon realized, “I walk onto this field every day without armor or weapons, by choice, and so the risk is that every once in a while, someone will ignore the rules and shoot.” (192) What are the unspoken “rules” that the anonymous commenter ignored? What kinds of risks does Glennon take when she writes about her life online? What are the rewards that make those risks worth taking? 12. “We are each an island, but [God] gives us gifts to use as bridges into each other’s lives. When we lay down our gift, we walk right over it and straight into another heart.” (209) Think about the “gift” that your best friend, your spouse, or another loved one has offered you. How does that gift give you access to that person’s heart? What gifts do you think you offer in return? 13. Revisit the painful story of Glennon and Craig’s efforts to adopt a child. What are the main obstacles that they encounter? How do they face these obstacles together, and how do they recover from their disappointment? 14. Glennon lists the “widening circles” that protect her: her husband, children, community, and faith. (7) Try to picture the circles of protection in your life. Who are the loved ones in your widening circles? 15. Glennon and Craig consider their family “religious rolling stones”–they hesitate to commit to a denomination. How does Glennon keep Jesus in her heart, even when she doesn’t have a regular church? In what ways does her daily life resemble a sort of prayer? 1. Check for updates on Glennon’s phenomenal website, http://momastery.com/blog/. When you’re ready to commit to living mindfully, as Monkees do, visit http://monkeeseemonkeedo.org/ to join the community and lend a helping hand. 2. This book club meeting will have no “hostress”: welcome to stress-free hosting! Make this meeting a potluck, and ask everyone to bring something to eat or drink. Pajamas and bring-your-own-glass are optional, but encouraged! 3. According to Glennon, “Dancing sober is just honest, passionate living.” (25) Get your book club warmed up with a session of sober dancing! Play your favorite pop song or visit the “Feed Yourself” section on Glennon’s website to download her Momastery Mix at http://momastery.com/blog/feed-yourself and get everyone moving, no matter how silly it looks or feels. 4. Anne Lamott, Maya Angelou, Geneen Roth, Joan Didion, Emily Dickenson, Elie Wiesel, Ken Follett, Kathleen Norris, Sylvia Plath—these are just a few of the writers Glennon mentions in Carry On, Warrior. To see a list of some of her other favorite books and movies, visit the “Feed Yourself” section of her website at: http://momastery.com/blog/feed-yourself. 5. When she gets fed up, Glennon puts on one of her “paper bag hats,” where she can “breathe and hide.” (177) Make paper bag hats–with smiley faces and breathing holes, of course–with your book club members. All you need are some leftover shopping bags, a marker, and a sense of humor! 6. Take a look at, Monkee See—Monkee Do, the not-for-profit charitable organization that emerged from Glennon’s website. The mission of the group is to acknowledge needs in communities and do something about them. Their work is an expression of Mother Theresa’s philosophy that we can do no great things, only small things with great love. What small steps could you take to make a difference in your own community? Read the stories of the families Monkee See—Monkee Do has helped and see how you can get involved by visiting www. http://monkeeseemonkeedo.org.